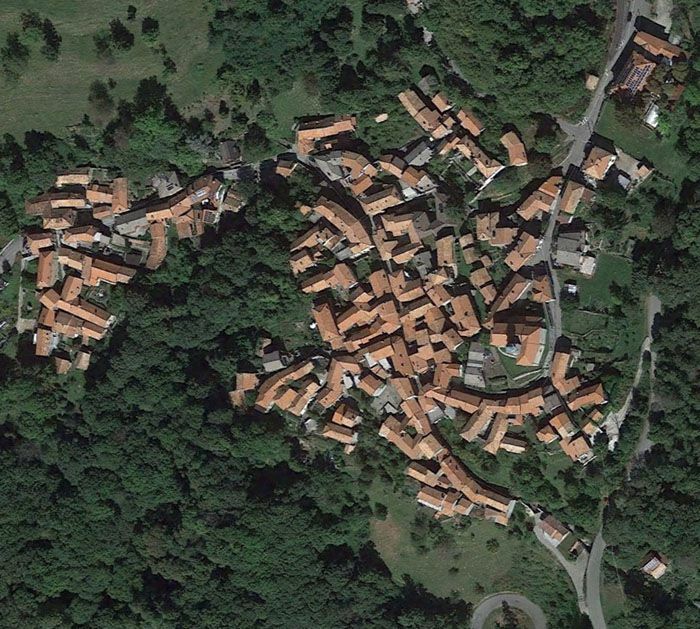 Small and idyllic apartment overlooking the roofs of Coiromonte. The modern apartment with handmade furnishing is small and compact with a small kitchen and bathroom. Notable features are the large windows, which illuminate the entire room and give view into the village as well as the wall and floor heating, that are heated exclusively by renewable energy (pellet, solar thermal energy). The apartment is located above the host's apartment. To enter it, guests must get through an anteroom that is also used by the host. A team is always available in case of questions. The ‘Smile‘ Mirapuri Holiday Apartment, endowed with fine artistic charm is located in Mirapuri-Coiromonte (in the mountain area above Lago Maggiore and Lago d‘Orta) in the first floor of the quiet-cozy Riva del Tempo Pizzeria Restaurant, inviting with its picturesque courtyard, to good dining and being together. The ‘Smile‘ Apartment with its serene-relaxing atmosphere is the number one tip for couples and families. In addition a spacious balcony invites to sunbathing. Families and groups can rent the ‘Smile‘ Apartment and the ‘Music‘ Apartment as one unit. Both apartments are located on the same floor and share a common spacious bathroom with two separate entry doors: from the ‘Smile‘ Apartment you can enter via the private courtyard balcony and from the ‘Music‘ Apartment you can enter directly from inside the apartment. Offering a melodious piano for free use as part of the home decoration the ‘Music‘ Mirapuri Holiday Apartment is located in Mirapuri-Coiromonte (in the mountain area above Lago Maggiore and Lago d‘Orta) in the first floor of the quiet-cozy Riva del Tempo Pizzeria Restaurant and is not only suited for musicians as an enchanting place for letting go and gaining detachment from inner rush. The house is immersed in the beauty of untouched nature, located between the nearby lakes - Lake Maggiore and Lago D'Orta - making it an ideal place for relaxing holidays. 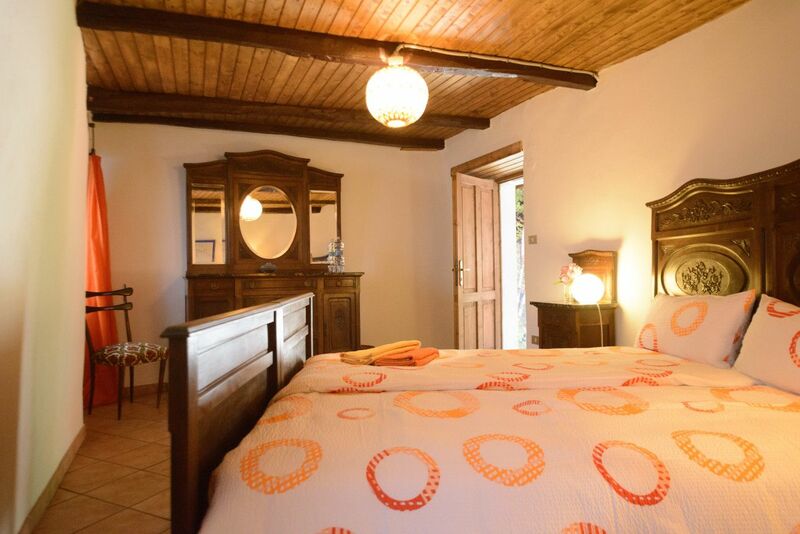 The accommodation has a rustic feel to itself and a wonderful courtyard. Part of the property is a small courtyard where you can enjoy quiet and relaxing moments. The ‘Olymp‘ is located in Mirapuri-Coiromonte (in the mountain area above Lago Maggiore lake and Lago d‘Orta lake). 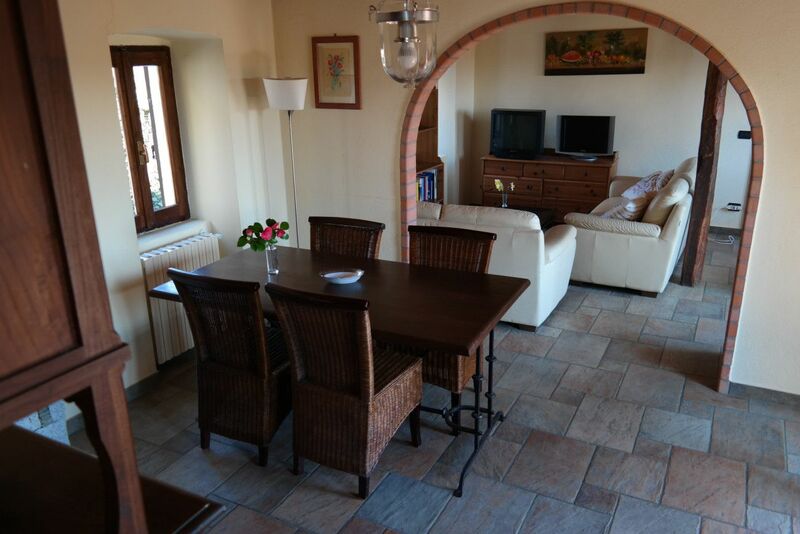 It is a well-appointed apartment villa with two floors that are connected through a circular staircase. The ‘Olymp‘ Mirapuri Holiday Apartment offers a wonderful view from its two spacious balconies that are oriented towards the South. Furthermore the ‘Olymp‘ Mirapuri Holiday Apartment has an enchanting courtyard. The ‘Olymp‘ is especially suited for big families and companies of friends as well as lovers who enjoy a spacious place. 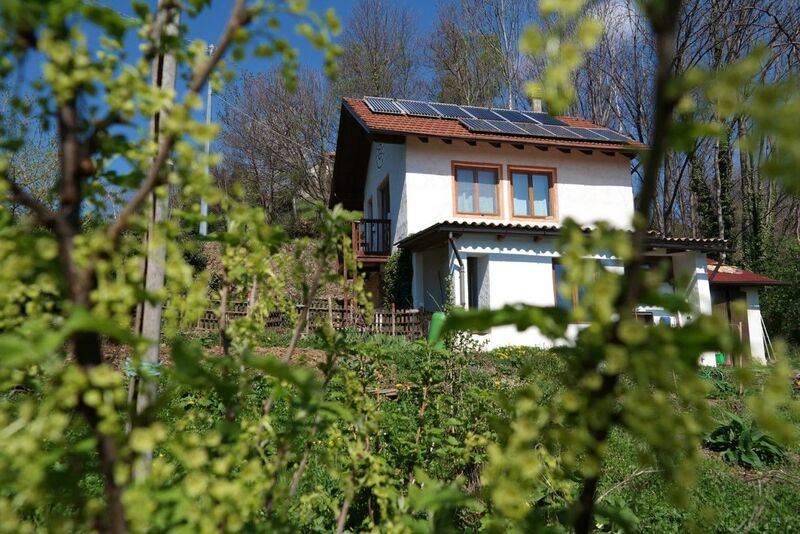 Small house located at the entrance of the quite town, entirely heated with renewable energy (solar, pellet, wood). 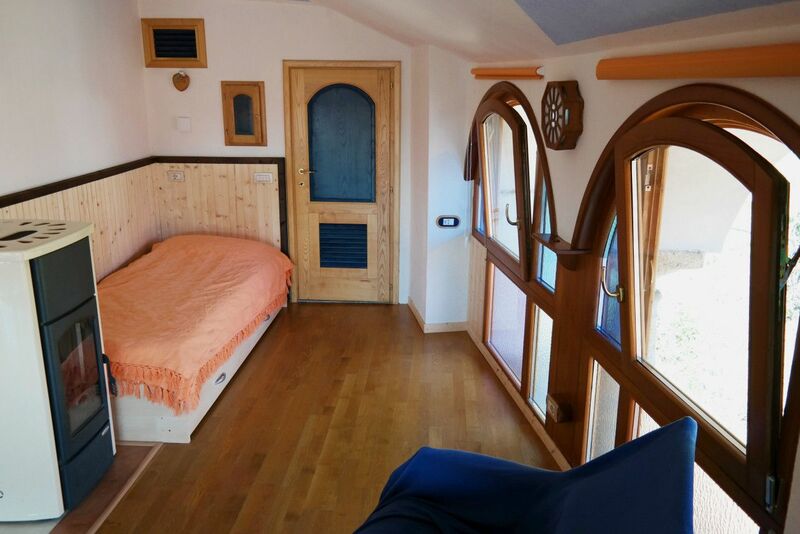 It has a garden and a marvellous view over the Argogna Valley. The lakes Orta and Lago Maggiore are both just 20 minutes away by car. Guests are free to move throughout the building. However, the access to the boiler room is not desirable. The house is entirely heated by renewable energy sources (solar thermal, pellet and wood). In addition, a small photovoltaic system is installed. The house is located at the entrance of the town. The “Mirapuri Holiday Apartments” are embedded in the culturally active, healthy and natural environment of Mirapuri-Coiromonte located in the mountain area above Lago Maggiore and Lago d‘Orta in Piedmont in Northern Italy. 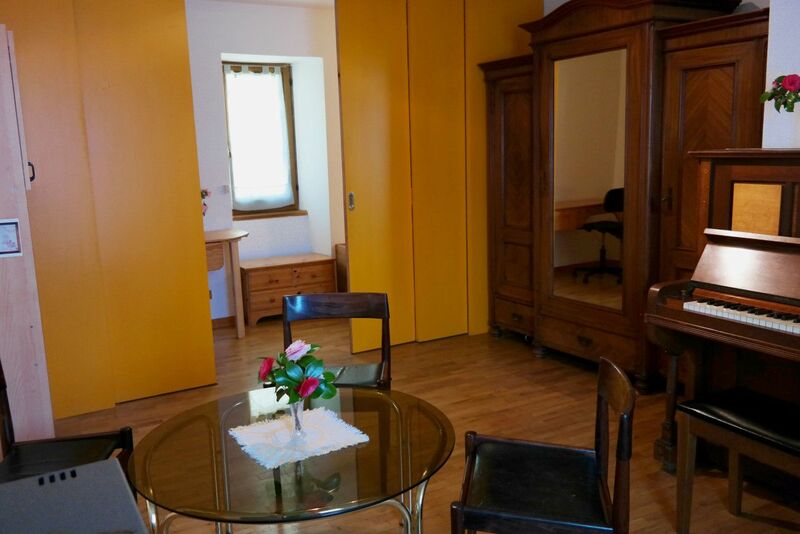 The cozy and atmospheric apartments are ideal for a healthy and calm recreation time in an environment of peace and contemplative connection to nature. Connected to the apartments are the Omnidiet Hotel with Restaurant, Bar, Wellness Studio (Ayurvedic massages, manicure, pedicure, cosmetics and beauty counselling), beer garden and festival area for cultural events (music, dance, art exhibitions, conferences and seminars), as well as the Riva del Tempo Pizzeria with Restaurant. A small grocery store (Mirapuri-Alimentari), which is part of the Riva del Tempo offers all items needed for self-catering in the apartments. Both restaurants are located within walking distance of the apartments and serve vegan, vegetarian and non-vegetarian food as well as traditional specialities and economically priced daily specials. The bar offer exquisite cocktails and a good variety of tasty wine and beer brands. The apartments are surrounded by beautiful and untouched woodlands, meadows and walking trails for extensive hikes, nordic walking and mountain biking. The two lakes “Lago Maggiore” and “Lago d‘Orta” can be reached by car in 20 to 30 minutes and offer very nice bathing places. The “Mirapuri Holiday Apartments” are also excellent bases for longer one-day excursions to the Mediterranean Sea and a multitude of tourist attractions in the area. 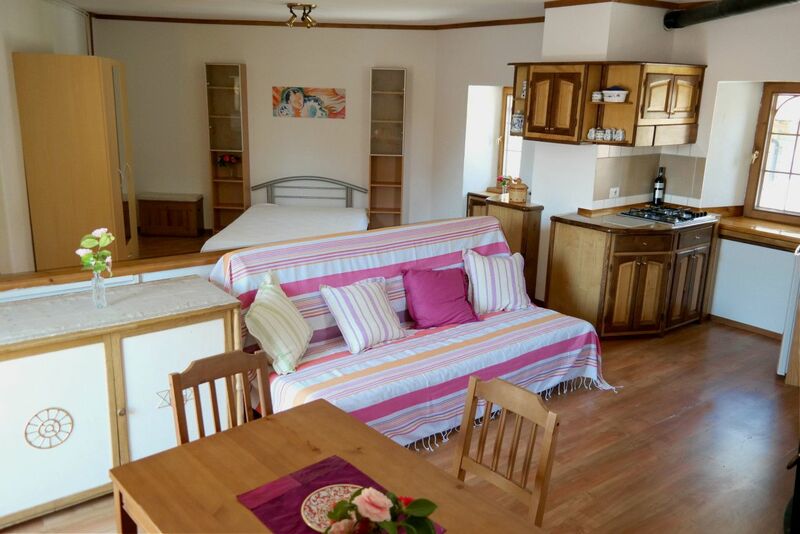 The apartments are available in various reasonably priced sizes and are ideally suited for singles, couples, families and larger groups.